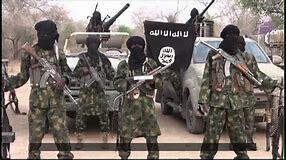 There seem to be a competition going on between Fulani Herdsmen and Boko Haram in bloody attacks. Just as Nigerian National Dailies reported yesterday that Fulani Herdsmen seemed to have killed more people than Boko Haram, the same day, Boko Haram launched another deadly attack in Borno while Fulani Herdsmen once again attacked Benue on Wednesday. Emergency Response Team (ERT) from the Nigerian National Emergency Management Agency (NEMA), Borno State Emergency Management Agency (BOSEMA) and Red Cross have all been engaged to respond to the incident which occurred around Muna Garage along Mafa Dikwa road in Maiduguri. Abdulkadir Ibrahim, Information officer, NEMA North East Zone, in a statement said “the ERT Team has responded to over 65 injured people who were given first aid and transported to hospitals while more 10 died at the spot and many others in critical conditions. “Preliminary reports indicate that four female suicide bombers were responsible for the blast. “The incident occurred at about 17.05 this evening.